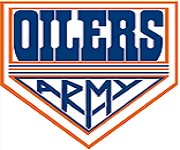 OilSoup: The Oiler Rebuild: The Nightmare Is Nearly Over! The Oiler Rebuild: The Nightmare Is Nearly Over! Get thee to the promised land! I found myself reading an article the other day written by Ken Campbell of The Hockey News. It was a short article about the Oilers rebuild and the long road ahead. A road that Ken believes will take another five years. He made some valid points: our need of a top defenseman and our lack of goaltending. Where Ken lost me was how long the Oilers have been in this rebuild. While most believe the rebuild only started a few years ago, Campbell goes as far as saying the Oilers have been rebuilding since the lockout. He does mention our '06 Cup run, but for the most part the team has been in turmoil for the last six years. To be honest I have only read a few articles by Ken Campbell so I know very little about him. I'm going out on the limb here assuming that Ken probably hasn't watched that many games involving the Oilers. Unless they are games involving the Leafs. Usually teams who are in a rebuild, do not spend to the cap except for the last two years the Oilers were up against the cap. The Oilers have made big offers to UFA's and have tried to pull off trades that involve marque players. For the most part the Oilers struggles have been related to injuries. It is those injuries that forced the Oilers into the rebuild two years ago. Injuries is the premise of this article. It's safe to say that ever since game one against the Carolina Hurricanes, the Oilers have suffered through a heavy dose of the injury bug. When Dwayne Roloson went down, so did the Oilers. You can call it the Roloson curse. I like to call it the Pronger curse, "The Lauren Pronger" curse. Unfortunately the curse has continued including the last two years during the rebuild. Injuries to Ales Hemsky and Ryan Whitney last year, were the reasons why we won the lottery and Ryan Nugent Hopkins. The Edmonton Oilers are not a last place team! With eighteen games left, forsaking a miracle, the Oiler will have another chance at winning the lottery. The month of December was a nightmare for the medical staff. December is the reason why Edmonton isn't challenging for the playoffs. Every NHL team has their seven defenseman on the roster to start the season. Their top four defenseman usually eat up most of the minutes with the other three playing a limited role. The numbers above reflects the roster movement of each team. The teams highlighted in yellow have lower numbers thus reflecting a sturdy defence. The two teams in red have unfortunately suffered injury problems to their defence. Six teams in the league have played eleven defenseman so far this year. That's four different defenseman who are AHL calibre playing in the NHL. Only two teams have played nine blueliners over twenty games. The Oilers are the only team to have played eleven defenseman along with nine who have played over twenty games. That is a staggering statistic. The Nashville Predators find themselves near the top of the league despite their injury woes on the blueline. The Preds have built their team from the backend out and these numbers reiterate the depth of their Defence. The Oilers on the other hand are building their team from the front to the backend. The Oilers simply do not have the depth to sustain four or five injuries on the blueline. In actuality not many teams do. It's hard to win games with key injuries to your top four defenseman. In the month of December, the Oilers had three NHL regulars and three AHL defensemen in their line up. The injuries that the Oilers have suffered will only make the rebuild faster. The team will finish lower in the standings resulting in a better chance at a top prospect. The Pronger Curse has to end eventually and when it does the Oilers will challenge for the playoffs. We are not the Islanders, who are out of the playoffs despite having an injury, bug free defence. Both the Oilers and the Islanders are rebuilding. With a little luck and perseverance, a healthy Oiler blueline will end this nightmare. Now if only we had a No. 1 Goaltender! The rebuild began two seasons ago, despite what Ken Campbell likes to believe. Kevin Lowe had a plan, build a team around Chris Pronger. The plan was scrapped when Pronger decided that he could no longer play in Edmonton. Lowe was pressured, the team just made the Stanley Cup Final and the Oilers fan base would have not accepted a re-build. So, in a panic and out of desperation, Lowe chased UFAs, RFAs, star players via trade and vastly over-paid to keep some remanence of his 2006 team together. As you know, the Oilers are still 3 or 4 players away from being a serious threat in the NHL. A defensemen is needed, goaltending remains a question mark, a second line center might still be required, a big winger within the top 6 is a must. Next season the Oilers challenge for a playoff spot, the following season the Oilers make the playoffs. Many people forget that this team has gone through a lot of injuries over the last few years. We are not a contender but we are not a bottom dweller either. Yes we have a few holes to plug but even if we don't address them we can still be a playoff team if we stay healthy. Injuries is the Oilers Achilles Heel. The problem is that no team remains healthy through an entire season and those who make the playoffs are often those will solidified NHL depth. Having depth on the blueline definitely helps, look at Nashville for example. At the same time look at St. Louis. The Blues have had their main 6 all year with very few injuries. Looking at their depth on D, if the Blues had 2 more defenseman playing 20+ games, the Blues wouldn't be in a playoff spot. Hard to speculate. We will never know unless it happens. The best examples, this season, of teams who have persevered are the Penguins, Red Wings and the Flyers. Do take into account that the Blues have two players on the IR (Steen/D'Agostini), Perron has missed two dozen games and McDonald has only played 15 games. The Blues have battled through some significant injuries. I agree it's hard to speculate. Replacing injured defenseman is a lot harder than replacing forwards. Obviously an injury to a goalie is the hardest to replace. My point of the article is that the Oilers have had 9 D play over 20 games this year. The difference between 9 and 8 is a lot. 9 & 7 is huge and 9 & 6 is astronomical. Don't get me wrong, in no way am I saying that injuries have not played a significant role in this team's struggles. I am only stating that the Oilers need to continue to build depth as injuries will never go away.